This event is on April 24, 2019. Working with separated families is challenging! Every family is unique and requires a unique, sensitive and sophisticated approach.  The complexity of families has increased dramatically, and to do justice to our work, every professional needs to understand not only our primary area of expertise, but also sufficient about associated areas to work effectively in a multidisciplinary team, and to make appropriate referrals. In a constantly changing landscape, we must constantly be updating our knowledge and skills. Join me and my special guest Micheal Hunt, to discuss how we might be able to do this. Reflective practice is the strategy being promoted by artists and experts in this and associated areas. I will explore with Michael what this is, how we can develop this approach, and how can we use it for best practice. 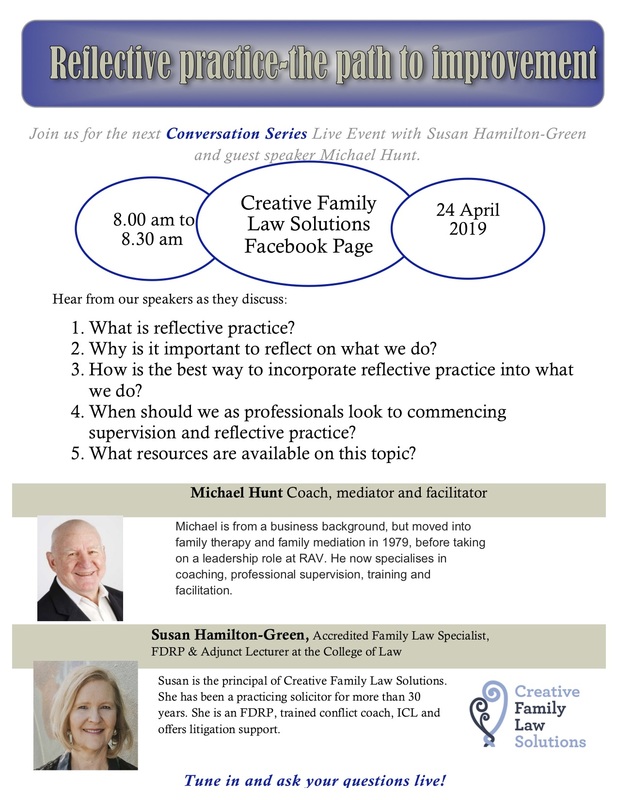 Our discussion will be streamed live on the Creative Family Law Solutions, then posted for those who wish to watch later. Send your questions so that they can be answered either during our discussion, or soon after.